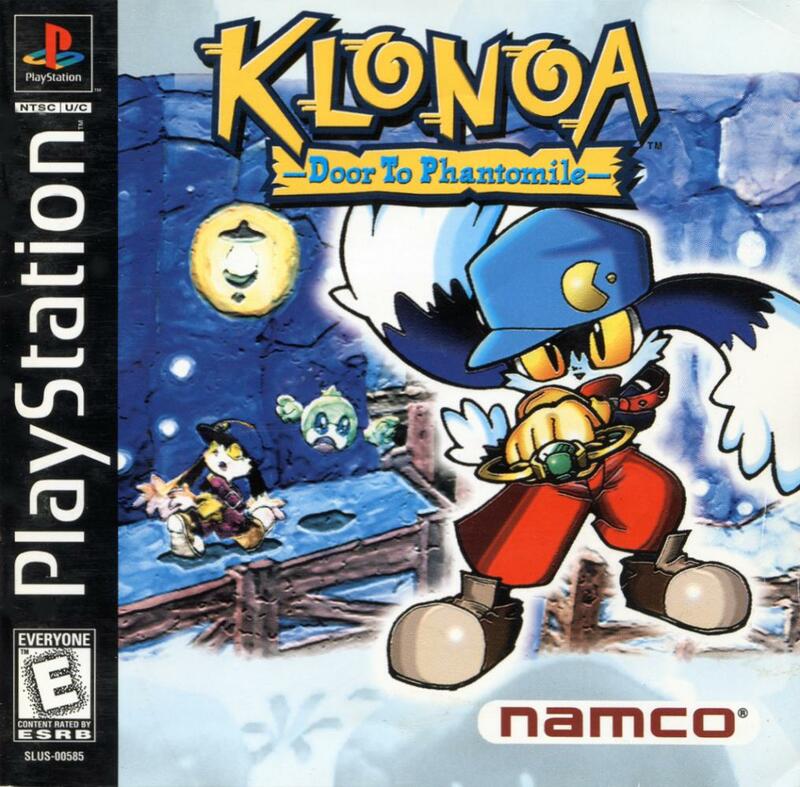 Klonoa: Door to Phantomile (and its Wii remake) is a side-scrolling platform game viewed from a “2.5D” perspective. 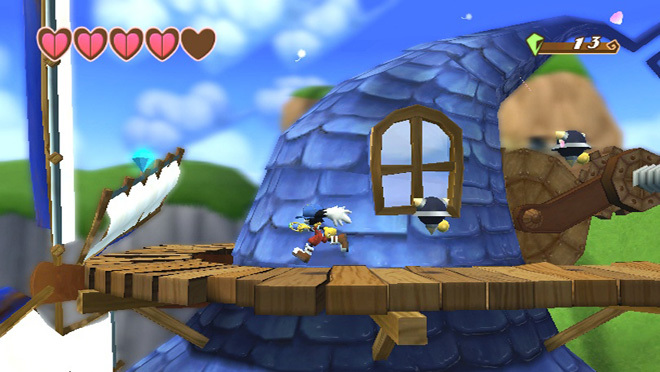 The player moves the protagonist, Klonoa, along a path in a two-dimensional fashion, but the game is rendered in three dimensions. This allows the path followed to curve and for the player to interact with objects outside of the path. The term “2.5D” is also applied (though mathematically incorrect) to 3D games that use polygonal 3D graphics in order to render the world and characters, but the gameplay is still restricted to a 2D plane or gameplay system. The term is rather loose as term because it generally refers to any game with 3D graphics that feature any sort of 2D playing style. 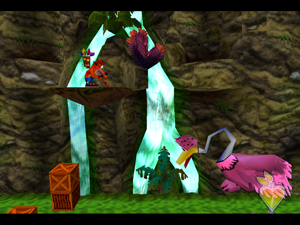 For example, the Crash Bandicoot games of the Playstation 1 were considered 2.5D because despite the 3D graphics, most levels are not as free roaming as its competitor at the time Super Mario 64. There were even some levels where you can only traverse left and right (except maybe a part at the beginning and end where you move to and from your goal). The main problem is that the assumption of Crash Bandicoot being 2.5D is based on shallow aspects such as level layout and camera perspective of those levels, I’m not saying they’re not important, but in this case those aspects don’t make it a 2.5 game. 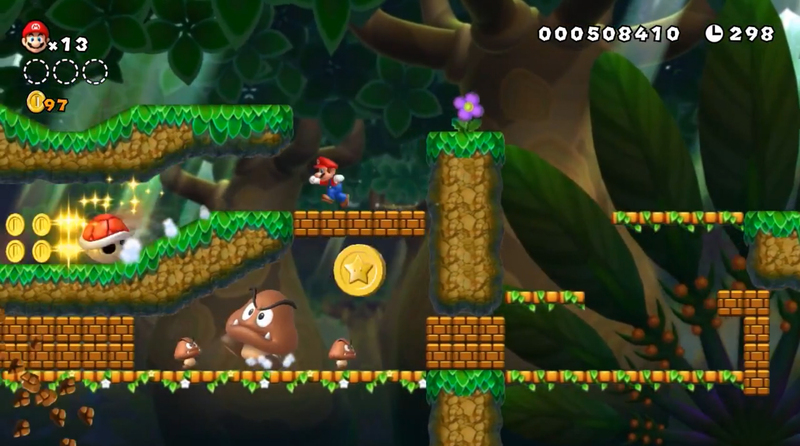 The New Super Mario Bros. are also considered examples of the sub-genre as it uses 3D models and animations, but other than that it’s strictly 2D, the 3D parts of it are mere aesthetics. Layout, design, play style and controls, all of it is 2D. Street Fighter IV is another game considered 2.5D for similar reasons due to its 2D gameplay coupled with its 3D rendering. I consider Klonoa to be the purest example of the subgenre because the combined design of the level layout, the gameplay and especially the camera angle are all 2D with 3D elements thrown in which is essentially the textbook definition of the term. Like many platformers you have a camera that interpolates accordingly along with the character’s ever changing position in a similar manner to other popular platformers like Mario. 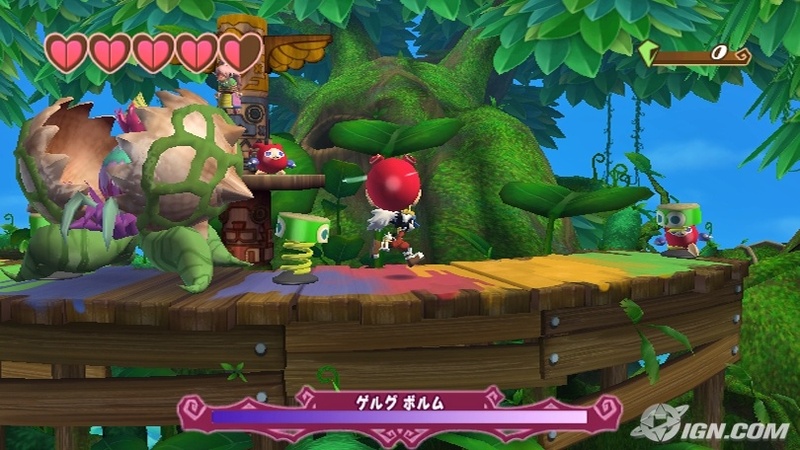 However there are points where you will end up turning as the level is not a straight line, when that happens the camera remains parallel to the character while maintaining a certain distance throughout, which includes moments when your character jumps towards the screen which is an example of a dynamic camera angle. I chose this game in particular because it’s an example of how camera dynamics can ultimately create a new genre in a sense. Like in movies, camera works don’t just provide a visual of the audience but a whole new perspective. This entry was posted in Uncategorized and tagged 2, 2.5, 3, array, Bandicoot, Bassem, Bros., Camera, Crash, D, design, distance, Door, Dr., DS, Dynamic, engine, Game, Hogue, implementation, interpolation, Klonoa, Mario, Namco, New, perspective, Phantomile, platformer, Playstation, Super, system, to, Todary, U, Wii on October 21, 2013 by bassemtodary.